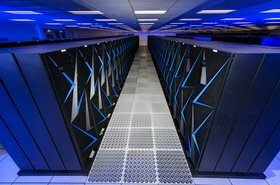 The first exascale supercomputer in the United States is coming in 2021. Aurora will be delivered by Intel and subcontractor Cray to the Department of Energy’s Argonne National Laboratory, for a cost of more than $500m. Whether the system will be the first supercomputer capable of at least one exaflops, or a quintillion (that’s a billion billion) calculations per second, depends on when in 2021 it is released, and whether other nations are able to keep to their own ambitious deadlines - China is targeting the 2020-21 timeframe, Japan is hoping for 2021 and the EU is aiming for 2022-23, but each approach is susceptible to delays. Delays are in fact why this system will exist: A previous version of Aurora, capable of 'just' 180 petaflops, was meant to be delivered in 2018, sporting Xeon Phi chips. After delays and the cancellation of Xeon Phi, and in an effort to speed up the deployment of the first exascale system, Aurora was pushed back to 2021, but its performance requirements were greatly expanded. Instead of Xeon Phi, the system will feature two new chips - an upcoming version of the Xeon Scalable Processor CPU, and the 'Intel Xe' chip, which is thought to be the brand name for the company's upcoming GPU line. "[This is] the creation of a new computer architecture to facilitate workload targeting, which we call the Intel Xe computer architecture," Rajeeb Hazra, Intel's corporate VP and GM of enterprise and government group, said in a call prior to the official announcement of Aurora. "That embodies a way to add workload optimization for a various and increasingly diverse set of computing needs." It will also feature Intel's Optane DC Persistent Memory and an instantiation of the Intel OneAPI, all connected together by the Cray Slingshot interconnect, and 200 Shasta cabinets - also found in the Perlmutter supercomputer. 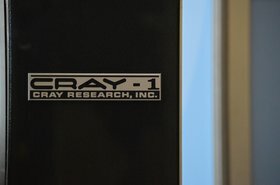 “Cray is honored to partner with Intel to build and deliver the first US exascale supercomputer to Argonne,” said Peter Ungaro, president and CEO of Cray, which nets more than $100m from the contract. 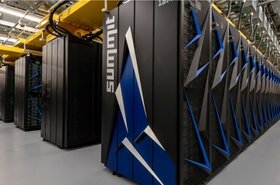 “It is an exciting testament to Shasta’s flexible design and unique system and software capabilities, along with our Slingshot interconnect, which will be the foundation for Argonne’s extreme-scale science endeavors and data-centric workloads." “We think of simulation data and machine learning as the targets for such a system,” Rick Stevens, associate laboratory director for computing, environment and life sciences at Argonne National Laboratory, told DCD. “This platform is designed to tackle the largest AI training and inference problems that we know about." In the last issue of DCD Magazine, we took a deep dive into the race to build the first exascale supercomputers - from Intel and Cray's Aurora, to efforts by IBM, Nvidia, HPE and others, as well as what is underway in Japan, China and the EU. In the next issue, out in just a few weeks, we talk to Rick Stevens, Rajeeb Hazra, and many more, about what these systems actually mean for the future of science, machine learning and computing architectures. We hope you find it interesting - if so, be sure to subscribe, for free.